Tesla Motors CEO Elon Musk has said that it would repay the debt induced by the loan they received from the US government to develop electric vehicles early, and it appears this will be possible, with a bit of personal help from Elon. The company appears to be on track to pay the loan back years early, and that includes the interest. The loan was $465 million, and the Elon Musk is going to buy $100 million of shares at an upcoming public offering price. $45 million of that will be purchased from the public offering, while the other $55 million will be purchased directly from Tesla Motors. $465 million sounds tremendous. However, Nissan received $1.4 billion in funding from the US government for the Nissan Leaf. Fortunately, that money was to prepare their Tennessee, United States factory, which has resulted in the cost of the US Nissan Leaf being cut by several thousand dollars. 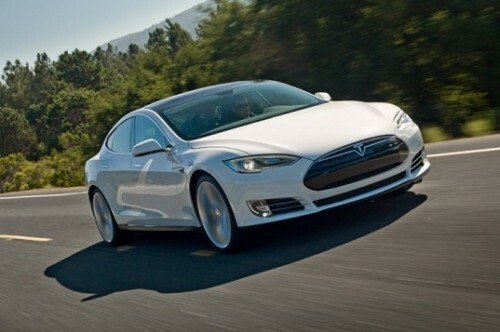 Tesla Motors’ share value has increased drastically this month to over $91.